Doing the conversion of a property from an ordinary domestic residence into a B&B is a very different proposition to a normal job and there are a number of things you will have to ask builders, architects, engineers and planners to make sure you end up with what you need. It's likely that they will have a lot of experience with B&B conversions unless you're in a very tourist oriented area so you may have to push them to think the way you need them too. One of the areas where this is likely to be important is with the internal specifications. For example, your B&B will have a higher reputation if you pay more attention to soundproofing than in an ordinary conversion or extension project. Ask builders and engineers about soundproofing that can be used in the cavity between stud walls going up as new partitions. This is important where you are dividing large bedrooms to put en suite facilities in, to keep plumbing noises to a minimum. It's important in flooring too, if you are putting up a two storey extension to provide more guest bedrooms. You need to think about other aspects that you want with your B&B. If builders, engineers or architects appear to gloss over your objections then go and talk to someone else. You can also ask architects to be as creative as possible in terms of extracting the maximum usable space in bedrooms and bathrooms. After all, the more guests you can get into your B&B the more profitable you will be. Push architects to explore different layouts to increase your saleable space, and at the same time ask them to put windows where they will make the best use of any views from your property. 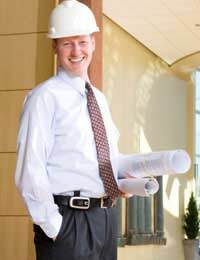 Does Your Property Need an Engineer? You may not need the services of a structural engineer unless the property you are converting into a B&B has structural support issue or is on land that presents difficulties because of a slope, hard rock, or perhaps lots of water just below the ground. If this is the case then get the engineers in and put your proposals to them because the cost of not getting the structural calculations that engineers can deliver is too high to consider. The main questions to ask builders are about their previous work. Ask them for at least three previous customers who are happy to give references and go round to see the work that's been done. If they can't do that then walk away, they either don’t have the experience or they don’t have happy customers and wither way it means they're not the right builder to trust your business to. Make sure you also ask builders about the way they cost the job out and what they expect you to do to keep the conversion job on track. Some builders are happy to source all the materials and may get better prices than you would. But if builders expect you to source them and you don’t get the materials there on time then you will be paying them to wait around. With planners it's very important to be up front with them about the conversion and the commercial use of your property as a B&B. Planners would much rather be consulted early on than have to go in and take out enforcement notices when they discover your conversion breaks local planning rules.